My mint plants in the garden are starting to grow pretty big this season. 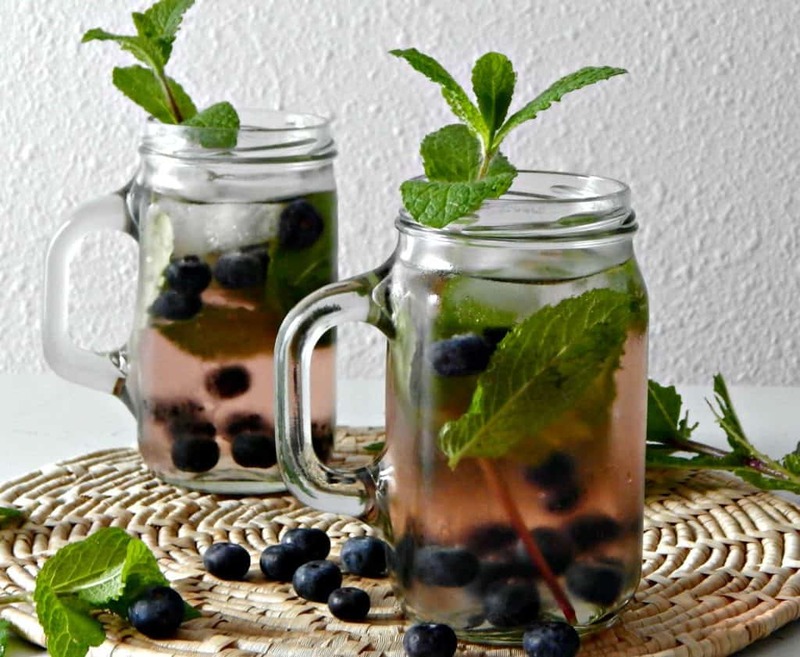 I decided to try my hand at making yummy blueberry mojito’s with my surplus of mint. The mojito is a traditional Cuban highball and usually consists of five ingredients white rum, sugar, lime juice, mint and sparkling water. 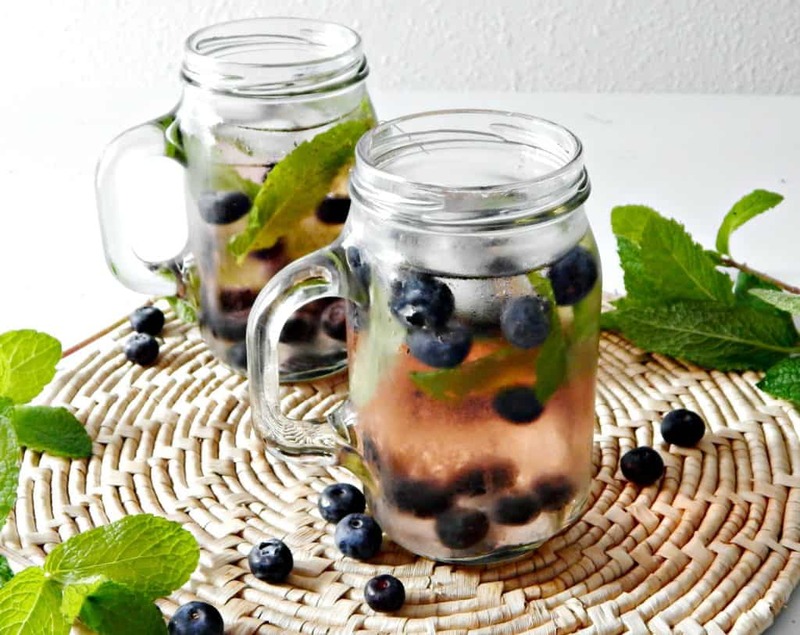 I wanted to make this recipe a little bit fruitier so I added blueberries and swapped the sparkling water with sparkling raspberry wine. This drink is nice and refreshing on a hot spring afternoon and perfect for this lovely warm weather we have been having this week. 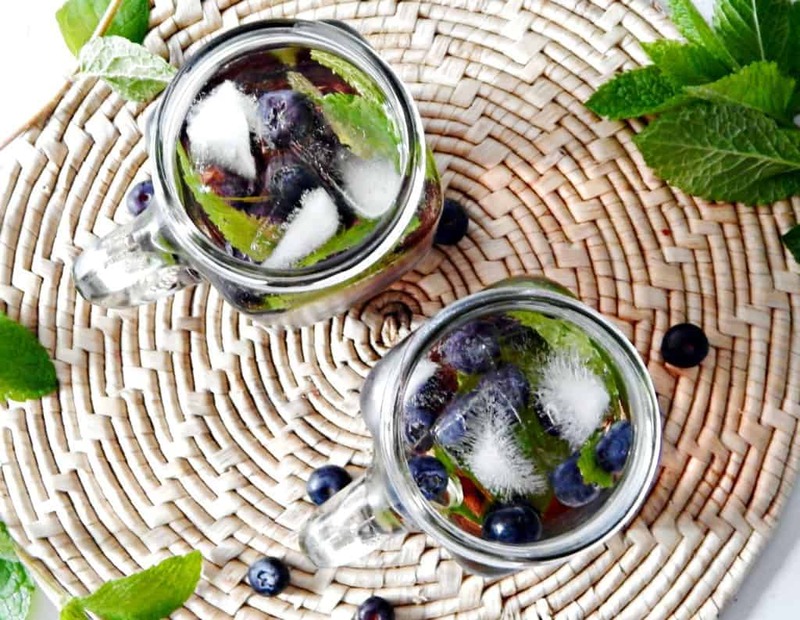 Start by taking fresh mint leaves, a few blueberries and the simple syrup and mush them into the bottom of the glass with a muddler to release the flavor. Next add ice and pour the rum over the ice. Add the sparkling raspberry wine and a squirt of fresh lime juice. 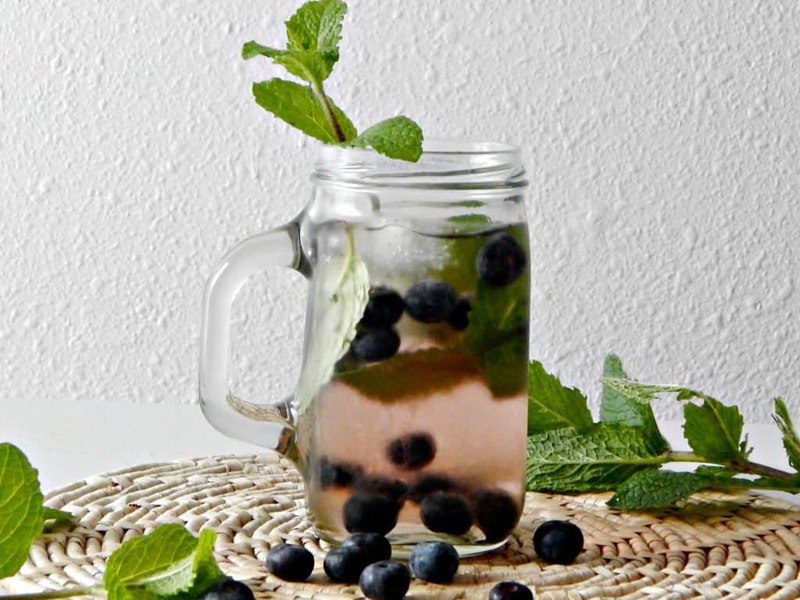 Garnish with fresh mint and blueberries. This recipe makes one, but you should double it, grab a friend and find a patio to kick back on!